Isn’t my husband just handsome? Even if he is a bit impatient with me taking his picture. As May drew to a close, it became apparent to me that I needed to tell myself a new story. I need a story that doesn’t involve the workplace, doing taxes, being a CPA, or any of the other ways that I’ve defined myself for these many, many years. I’m proud of my career accomplishments and the hard work I’ve put into being the best I can, becoming an authority in my field, and being a recognized name “out there”. I’ve dedicated myself to learning all I could about corporate state income taxes, showing up when I was needed, being a diligent employee and mentoring those around me. But that time has come to an end. For the rest of this year, I am on sabbatical and planning what I want to do with my writing and photography as well as seeing that new grandson of mine. I received one very nice offer and it was near my daughter. It didn’t pay much for relocation though and after examining many alternatives, my favorite boy toy and I decided that we didn’t want to pay for a move out of our own pockets. We will at some point move closer to her, but not this year. I don’t want to work all those hours and still be in the hole financially. Additionally, if I want to pursue my creative ventures, I need my life to be settled. My favorite boy toy and I have moved 13 times and lived in 8 states. We lose about two years of our life each time we move, from having to fix up yet another house to finding new doctors, tradesmen, and where to go to do things (have fun). By the time we’re ready to move, we’ll also be ready to downsize and curtail our lifestyle. That will not happen for a while yet. If we hadn’t moved so much – and lost our home equity several times – I’d have been more receptive. The company was good and I really liked the people I’d be working with. That made it hard to walk away from the offer and I really stressed out over it. I’m still stressed and fearful about how we will do with me leaving the workplace, but I believe this is the right decision for this time. How big was this? See my husband over at the left? That’s how big this was. Back in 2004, I was part of an on-line forum for creatives called “Planet Sark”, which evolved into this website here. When I signed up, I was encouraged to consider my dreams and write them down, which I did in the forum and in my journal. I have enough financial security to retire now. I live close enough to my daughter that I can hop in the car and be there in under a day. My home does not back up on a nature conservancy, but within a short drive (5 to 20 minutes) I have all kinds of parks and a great botanical garden which I do not have to maintain. A little longer drive and I have other venues, such as Colonial Williamsburg, Brown’s Island and Hollywood Cemetery. That’s a good enough answer for me. Several years ago, I lost nearly 40 pounds and improved my health considerably. It would be good to lose more weight, but I’m happy with what I did. The first dream – to make a living from my diaries and photography really jumped out at me. Was it time to do this? I couldn’t decide. As a result, I spent the early part of this year angry and confused. If I was to make a living with my diaries and photography (and exactly what that means, I don’t know), why was I looking for a job? If it was time to retire, why all the calling, networking, and interviewing? I carried that card around with me a good long time as I worked through my confusion of what I was supposed to be doing. I always thought when I retired that there would be a big party, people telling me they were sorry to see me go, and a final closure. I’m disappointed to not get that after all these years but this is how life has become for many workers. I could keep looking for a job. My field has a low demand, but it also has a low supply. Companies tend to dismiss my skills until they have a problem. Then they find there are very few of me around. I’m employable, but it always takes a while to find something because of corporate state income taxes is so much smaller dollars than federal or international taxes. But that’s not what I’m to be doing. The old story is broken and it’s time for a new story, which I will share in a later post. 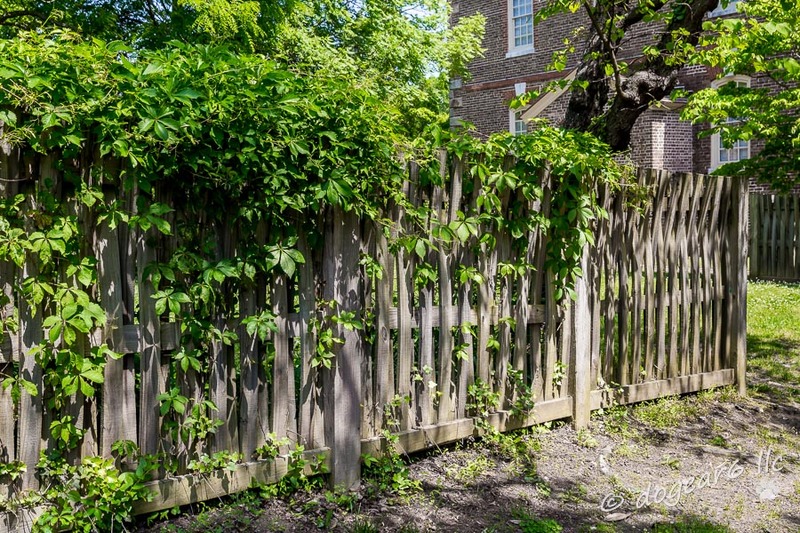 Isn’t that fence interesting? 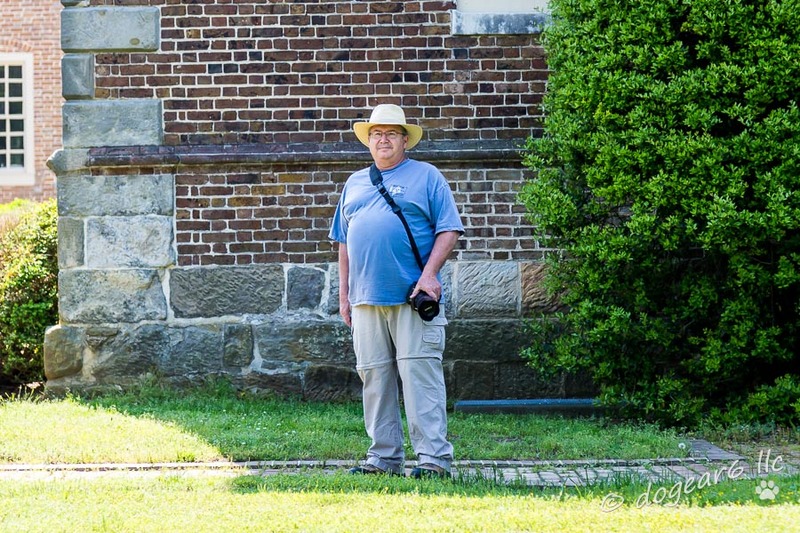 Taken in Yorktown, Virginia. The beagle, of course, wants to know if that means more treats! Isn’t he just handsome? Even if he is a bit impatient with me taking his picture. I am still catching up after a very busy time, and I just read this post–Wow! I can hardly wait to see what happens next! Thanks Naomi! I have a part 2 that needs to get written. I plan on pursuing my writing and as I’ve been working on that, I now have a very nice offer for some temporary work. So I’m back to work tomorrow! Thank you, Dennis. I think I will enjoy being retired also. And I’ll be sure to let them know the cannon was not your fault! Nancy – I love your 2nd story, you really haven’t begun yet. There’s so much new and exciting experiences that you’ll have. Yes, it is scary simply because of the “unknown”. For many of us, years of setting those alarms, going to work became “routine”. It really became “the grind”. Now, you have a gift of spending more time with your family, getting to know your grandson, taking in new sights, and showing us the beauty of the world thorough your blogging and photography. Enjoy this new time in your life, you’ll be glad you did! Thank you so much and yes, I owe you a letter. Work has been a grind for a long time. The overtime here is not new – it’s been like this for a long time for me. With all the changes my current employer is undergoing, I’m glad I was let go when I did. They merge on July 1 with their biggest competitor and very few know who is going and who is staying. I’m loving the time with my daughter and her family. I haven’t been out on field trips as much as I’d like and that’s something I need to figure out. Actually, I need to figure out how to get more laughter. I seem to be back into being cranky all the time again. I think it’s all the learning I’m doing as I look into monetizing my writing. Thanks for being a good friend and staying in touch! I am excited for you, while at the same time knowing how scary it can be to make that kind of decision. I had to do it back in 2006-2007 when I left work due to an injury and a move. Trust yourself and you’ll be fine. Better than fine, I bet. Thanks Robin! Yes, you understand about our reluctance to move. It’s been hard each time. I think one of the cats died earlier than he had to because of a new vet and we nearly lost the Vizsla due to an incompetent vet. It seems each time we’ve moved, we lost more than we gained. I hated Richmond when we first moved here, but after several years grew to like it a lot. If I’m going to stay someplace for a long while, this is a good place to be. Change from something familiar we know well to something that we cannot see clearly as yet, is always a bit scary. I’m happy you have decided to follow your heart and do something you have passion for. I jumped off the corporate treadmill very early as I had the financial security to retire. I still do consulting in my field of expertise (management), but only when something really exciting comes…just to have time and energy for my creative pursuits. They give me happiness and my life is much more balanced now. You will find that when you follow your inner calling, the path to something good will open in front of you. Your new story will be wonderful! Thanks for the encouragement! I’m open to contract work, but not a single thing offered so far has been exciting nor is it paying much more than I paid to our interns. Having said that, I’m putting a lot of time into what I want to do with my writing and how to monetize it. I’m glad you shared your story with me and gave me some things to think about. Nancy- I’m honored that you carried my card around & that it was meaningful. :) Like I said, I just felt called to do it. I love knowing that God has a plan & a purpose for our lives, even if we can’t always see it! I always love reading your posts!! Barb – you’re so welcome. Hearing from you was such a surprise, especially at that moment when I needed to hear that. Sounds like a corner has been turned. (I know what you mean about being highly skill, looking for a job, and being in that fork in the road.) Someone one told me if you be still – very still and quit spinning wildly, you’ll see the answer is there. …who could laugh at that wall holding the cannon ball? Life captured. Thank you for laying it out like that! And I laughed at your comment about the picture. My husband thought they didn’t match the post at all, but I kind of did. Thanks for affirming my choices. Hugs back to you. Thanks for the very nice note and encouragement! Thanks Debbie! I think you’re right about being where I’m supposed to be. I’m still figuring out what that is, but change is always hard. I think your new story is going to be the best yet :). Thanks Cindy! I think it will, but for right now there’s a fair amount of floundering around. That’s not a surprise with change, but frustrating nonetheless. Thanks Colleen! I’ve written out the new script for myself – which I need to share – but the details are slow in coming for actual execution. Thanks Darlene, for so much encouragement! I agree about there not being a right or wrong decision. I prayed extensively about the job near my daughter’s house and felt clearly that there was no “right” way. I could chose to move there, be by her, and continue working or I could chose to stay in Virginia and retire. But neither decision was right or wrong. That was a bit hard when making my choice, but I think it was true. Thanks again for all the support! I so very much appreciate it. I’m sure this has been a rough year for you emotionally. So glad you’re finding peace and following your heart. 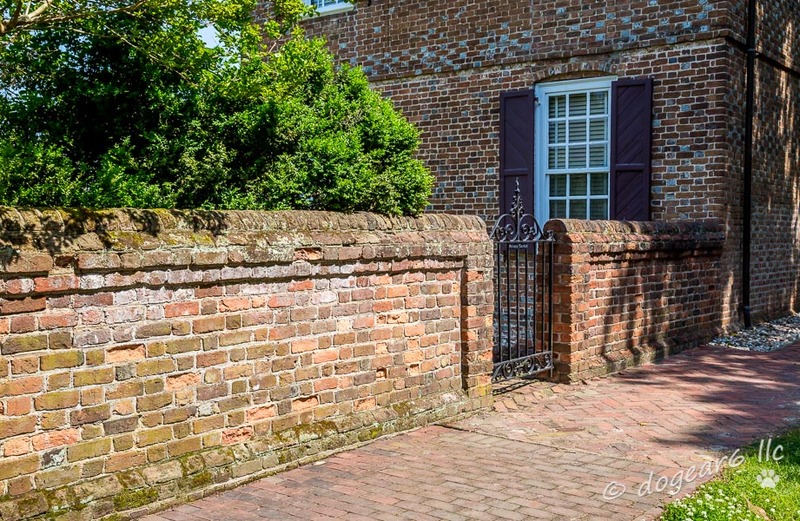 I love the old brickwork on the Colonial Parkway and Yorktown. I need to catch up on your posts. I saved the email notifications and look forward to sitting down(?) and reading them. A rainy day has been nice to stay inside! Thanks Patti, for such a wonderful note. That’s a good point you made – it has been a rough year with some real ups and real downs. But yes, the decision to retire and move on with my life is a good one. I’m still figuring out what’s next and am thankful I have enough financial security to do it at this time. I always enjoy hearing from you. What a wonderful compliment that you save the E-mails to read when you have time! I’m not doing quite as well. I’m using “likes” a lot more lately because I’m reading on my iPad and don’t want to tap tap tap on that tiny keyboard. I’m reading what I’m liking, but not leaving as many comments right now. 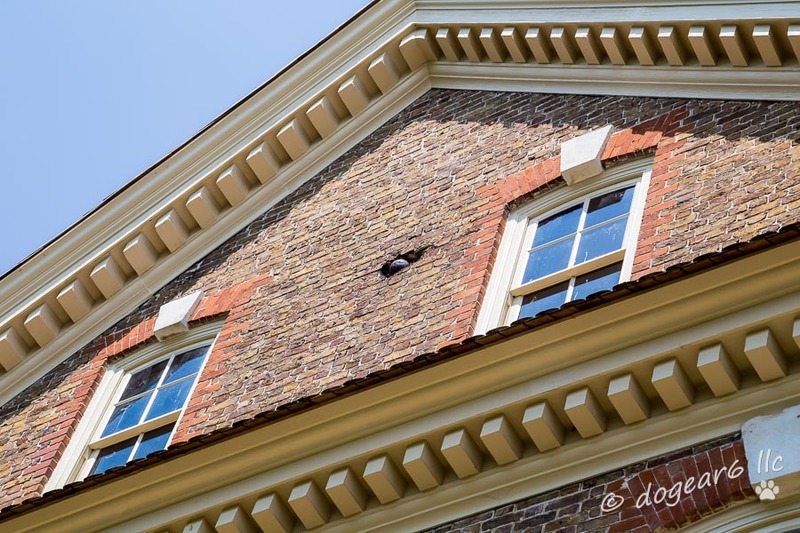 Will you go Williamsburg at all this summer? If you do, let me know and we can meet for lunch or breakfast. I have the feeling you have made the absolute right decision to retire and pursue new directions. And you will know the right thing and go for it without hesitation. Thanks Dor. You’re right – I have become much more comfortable with it and a lot less hesitant. It took long enough to get there though! Sometimes we have to just change our story to be the way we want. I believe that everything happens for a reason, and if it’s meant to happen, it will. I’ve gotten a lot more comfortable with the decision, but it was rough up until recently. I’ve wanted this for so long, I’m having trouble accepting that it’s finally happened.